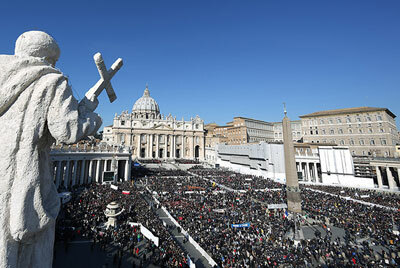 The general audience had been relocated from the audience hall to St. Peters’s square, because of the expected huge crowd. In sunny weather, the crowd cheered the Pontiff who drove by the faithful in his “Popemobile”. The “Popemobile” stopped occasionally to allow the Pope to put his arm around some kids. There was also a huge number of pilgrims from the Bavarian homeland of the Pope on St. Peter’s square. 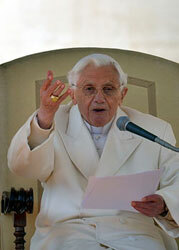 The pontificate of Benedict XVI will end on Thursday 8:00 p.m.. 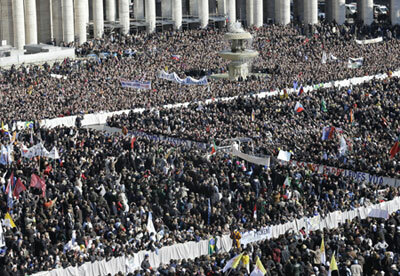 In the late afternoon, the hustle and bustle of the last days as Pope is over. Then the 85-year-old will fly to the papal summer residence in Castel Gandolfo outside Rome by helicopter. His last public act will be a farewell to the faithful of the Diocese of Albano from the Loggia of the residence in Castel Gandolfo at 5:30 pm. 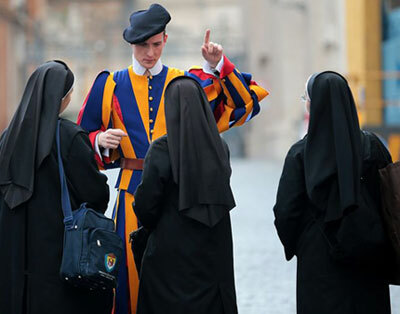 With the official end of the pontificate at 8:00 pm, also the Swiss Guard will cease their “public service” for the Pope. 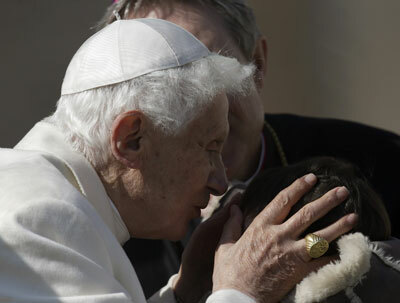 But the safety of Benedict XVI is guaranteed, the police will take on the guard duty. Actually, a pope is elected for life, but according to canon law, a resignation is possible. For this, the head of the Church must give no reasons, and also nobody must accept his resignation. However, the withdrawal must be made voluntarily. The by John Paul II reformed Canon Law (Can. 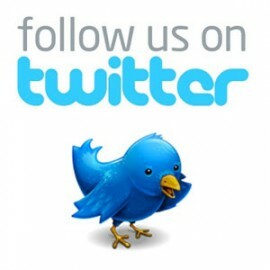 332 § 2) states: “Should it happen that the Roman Pontiff resigns from his office, it is required for validity that the resignation be freely made and properly manifested, but it is not necessary that it be accepted by anyone.” However, in 2,000 years of church history is known only one voluntary resignation. Pope Celestine V resigned voluntarily in 1294, after just five months in office. Church historians speak of an overwhelmed nerd, who could hardly speak Latin. The Cardinals had only elected him Pope, because they could not agree on another candidate in nearly two years of struggle. Celestine adjourned in a monastery after his resignation. Other historians claim that his successor, Boniface VIII had urged Celestine to resign, and later sent him into monastic imprisonment. Benedict XVI. announced his retirement on February 11 during a speach to the Cardinals in Latin language. It was actually only due to the clairaudience and the knowledge of Latin of an Italian woman journalist, that the news of the end of the pontificate went around the globe. “When Pope announced he was resigning, I felt weak at the knees”, Chirri later tweeted. This entry was posted in Pope Benedict XVI and tagged 1294, bavarian, canon law, castell gandolfo, Celestine V, cheer, church, crowd, decision, faith, faithful, february 28 thursday, final decision, general audience, gift, intense reflection, John Paul II., last general audience, latin, moved, new pope, pilgrims, Pope Benedict XVI, prayer, reflection, resign, Resignation, safety, speech, St. Peter's square, strenth, successor, thursday, voluntarily, voluntary by Osservatore. Bookmark the permalink. THE ALMIGHTY GOD BLESS YOU RETIRED HOLY FATHER.WE ARE ALL TOGETHER.THANKS!! !